If you do not have a powerful device and you want to improve the graphics of the game, then try SSPE shader. With these shaders, many elements of the game will change for the better. You will see more realistic skies, sun, moon. The surrounding blocks will be a little brighter and more colorful. Also, the leaves and the grass will get an animation that creates the impression of wind. How to install the SSPE shader pack? Let's see which version is suitable for your phone. Once downloaded, open the archive and select the file that meets the requirements for your device. Install this if you only have 512 MB of RAM. Install this if you have more than 1GB of RAM. This is a medium between the previous versions. Once you have chosen the version to install, follow these simple steps. 1. Unpack the selected shader file. 2. Start the game and go to the global resources (game setting). 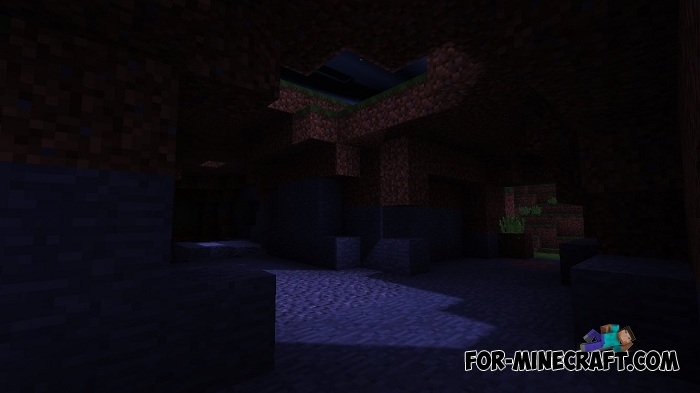 Support for Minecraft BE 1.4.1/1.4.2. Increase game performance by improving the clouds. Added torch light from enhanced vanilla. Some alterations to clouds (hopefully fixes some lag). Work on the shadows continues. Also there is a redesign of the upper part of the worlds. Clouds returned to the type of shader rendering. New lighting effects, see below. Fixed low res texture bug (hopefully). 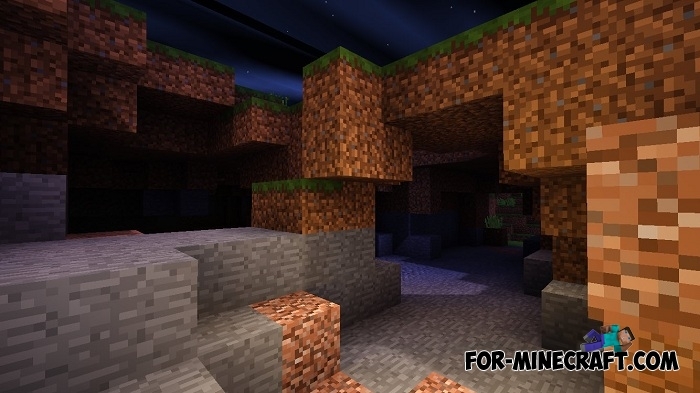 Work was carried out on compatibility with Minecraft 1.2. Thanks to improved systems of shadows and sky, bugs were reduced. Works on MCPE 1.2 Beta 5. Download this version if you want to install the shaders for 1.2. Now the shaders work more stably that increases FPS. Fixed a lot of bugs that were reported to the creator. Pack works on any version of the game including the planned MCPE 1.1.5. Clouds have been updated and look more natural. Full support for MCPE 1.1+, the final update will be after the release of v1.1. Improved optimization that reduces crashes. At the moment, the creator is working on ultra shaders being developed specifically for very powerful devices. They will combine all the most interesting features that exist for today. The shader pack works on version 1.1 but there may be lags due to new things. The light of the sun falls on objects more realistically. Fixed bugs with grass and leaves. It supports MCPE from 1.0 to 1.0.4.1. There are just three shader versions for different devices. Fixes related to the lighting and shadows. Fixed bugs including crashes and infinite loading. 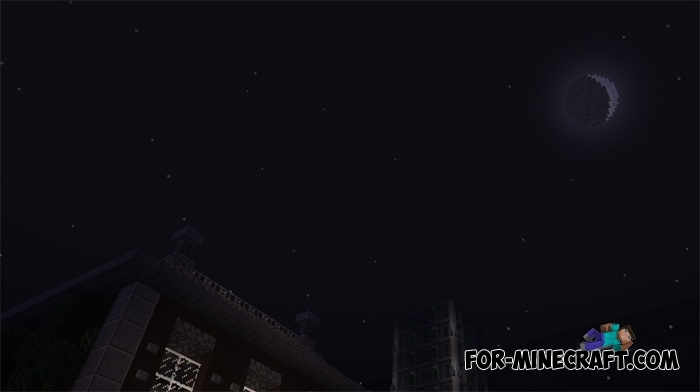 The update corrects the glow of the torches, the look of the clouds. Now you can see the full change list directly in the game. Light falls evenly on the items. Fixed bugs with a torch and clouds. Other fixes and optimization for all devices. Anyway, if you have installed the RSPE Shaders (or similar shaders), and after that Minecraft PE lags or crashes, then SSPE can solve this problem. 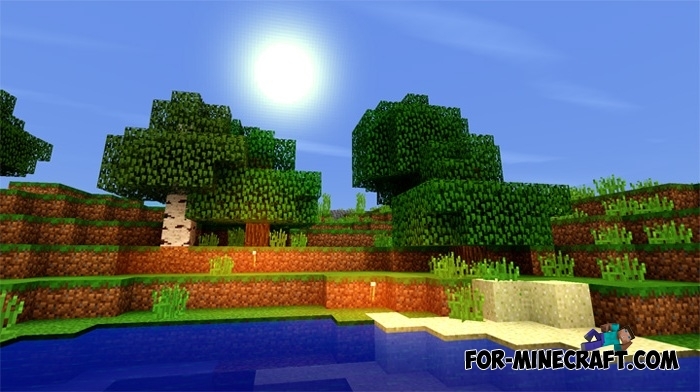 RSPE Shaders for Minecraft PE 0.15.0/0.16.0/0.17.0 (1.0)RSPE Shaders is the first shader collection for Minecraft PE 0.17.0..